Searching for affordable and dependable Cambridge Transportation Services in Massachusetts? Well look no further. A Plus Coach delivers world-class Cambridge Transportation Services to its beloved clients in the great state of Massachusetts. A Plus Coach of Cambridge, MA possesses the power of one of the most impressive and well-maintained fleets in the Northeast. Our highly skilled and personable chauffeurs play the role of both driver and host. We always roll out the red carpet, no matter what level of our Cambridge Transportation Services you select. 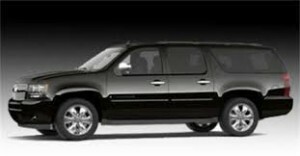 We are Massachusetts’s Leading Luxury Ground Transportation Service. Our Cambridge Transportation Services are second-to-none in their reliability, affordability and enhanced level of luxury. A Plus Coach always strives for greatness while ensuring customer satisfaction 100% of the time. Our sleek fleet is stacked with the very best in luxury vehicles in Massachusetts. Here are some of the automobiles that make up A Plus Coach’s Cambridge Transportation Services. Lincoln Stretch Limo – This is clearly a classic. Nothing says class and style like our Lincoln Limousine. Climb in and enjoy a night of regal comfort and pampering. From the soft seating to stocked bar, you’ll feel like a millionaire in this classic ride. Lincoln Town Car Sedan – A Plus Coach’s luxurious Lincoln Town Car is a true classic and is one of our most popular selections. This exceptional automobile is custom built by Lincoln and extended 6 inches, affording you an enormous amount of legroom. Outfitted in premium black leather and rear climate and stereo volume control consoles in the armrests, this is a great way to affordably get around Massachusetts and all her fine cities. The Lincoln Town Car is ideal for those that are seeking comfortable and affordable Cambridge Transportation Services. Mercedes Benz Sprinter Party Bus – This is one of A Plus Coach’s most unique vehicles. It definitely is the ‘leave your cares behind’ option in Cambridge luxury ground travel. While deciding on what Cambridge Transportation Service in Massachusetts you’d like to go with, you should keep in mind the size of your party. Our Mercedes Benz Sprinter is perfect for large parties and can comfortably accommodate 14 passengers, their luggage and then some. 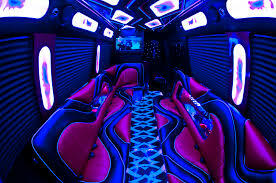 Here is the good part… This vehicle comes equipped with ground effect lighting, plush red and black leather interior, lighted dance floor, server station to entertain your guests, and two extra large TV’s with DVD player. This brand of Cambridge luxury travel is for those that dream big and know how to enjoy themselves. Start your adventure with us at A Plus Coach today. Your dreams are a CLICK away. Travel days can be the most stressful nowadays. Long lines at the airport, carry-ons to tote around and sometimes family in-tow, can really zap your energy. Don’t add airport transportation to the list of stressors. Allow A Plus Coach the privilege of handling the ground travel responsibilities for you. We offer exceptional Cambridge Transportation Services to a long list of destinations throughout Massachusetts, all at affordable prices. A Plus Coach doesn’t just offer Airport Shuttle Services…. We have bolstered our fleet of exceptional vehicles to include something for everyone, and offer a wide range of services for a laundry list of locations throughout the state. A Plus Coach of Massachusetts understands you work hard for your money. That’s why we work extra hard to provide you with affordable Cambridge Transportation Services that take the hassle out of your travel days. Allow us the honor of being your hosts on your next adventure, whether it be business or pleasure. A Plus Coach Limo and Shuttle Services in Cambridge, MA Makes Luxury Ground Travel Affordable. Cab and taxis are increasingly costly and stressful. For the same price, and sometimes lower, you can enjoy being in the lap of luxury, while getting treated like royalty. A Plus Coach’s Cambridge Transportation Services are convenience at its very best. Cambridge Transportation Services make ground travel an adventure. 24/7 ..365 days a year – That’s what you’ll get when you travel with A Plus Coach of Cambridge, Massachusetts. Combining luxury and affordability has been our mission from the start. Let us take care of the ground travel details. Just sit back and leave the driving to us.